During my time at Shopify, I worked on a variety of amazing projects. As a Designer Advocate, I had the flexibility to pursue any projects that we thought could help designers on the Shopify platform. This involved traveling to conferences, leading workshops, running webinars, publishing books, writing articles, designing free resources, and even setting up a co-working space in Jeffrey Zeldman's office on Madison Avenue. Education was a big goal for our team. This meant writing several design and technical articles for the Shopify Partners Blog and other blogs/publications (including CSS-Tricks and a cover article for .Net magazine). Article topics included CSS-Flexbox, prototyping tools, Sketch plugins, Shopify resource tools, design best practices, and so much more. Here’s a full list of my articles to check out: articles. One of the many benefits of being a designer is becoming part of the design community; it’s composed of amazing people. So, getting to travel around the world to meet them is still a memory I cherish deeply to this day. Shopify's strong support for the freelance community meant that Shopify sponsored conferences all around the world which provided the team with access to set up booths, lead workshops, and run micro events. I led design and technical full-day workshops related to the Shopify platform along with a few lunch workshops. Sharing expertise with others is rewarding and something I really enjoy doing, so this made the experience even more enjoyable for me. As a team, we wanted to provide other ways to support freelance designers and developers, so we established a Partner Studio. The Partner Studio was a free co-working space located in Jeffrey Zeldman’s office on Madison Avenue, NYC. A few selected designers were given the opportunity to temporarily work from the studio to help them network and grow their business with the support of Shopify. 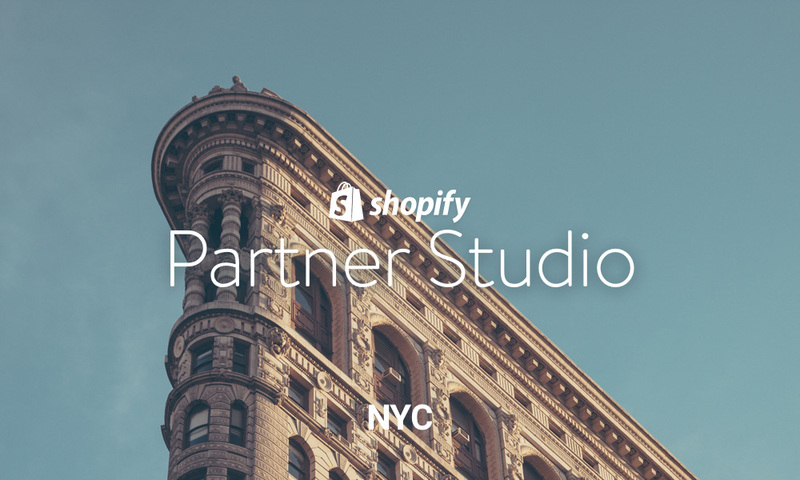 The Partner Studio provided designers with access to Shopify resources and mentors including Harley Finkelstein, Shopify Chief Operating Officer. A second Partner Studio was established in Mexico City which was an incredible success because Latin America is one of the fastest growing technology sectors. Designers and developers are very enthusiastic about getting involved and learning as much as they can so they can serve their region.